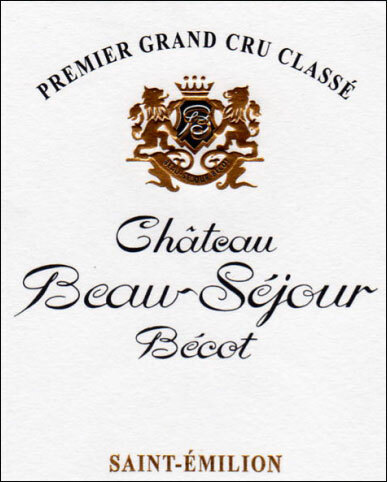 A big, fruity, rich St.-Emilion with surprising elegance for its flamboyant personality, this blend of 70% Merlot, 24% Caberent Franc, and 6% Cabernet Sauvignon, exhibits copious quantities of dried herbs intermixed with new saddle leather, black currants, cherries, smoke, and licorice. Medium-bodied, with good purity, low acidity, and ripe tannin, it will drink well for 10-12 years.Drink 2004-2016. Impressive aromas of blackberries and toasted oak. Full-bodied, with lovely rich fruit and refined tannins. Long and caressing. Give it time to come together. I actually like it better than the 2000. This family-owned estate does very good things. Best after 2008. Bright ruby-red. Cherry, raspberry, road tar, minerals, espresso and exotic oak spices on the very ripe nose. Supple, sweet and pliant, with subtle, perfumed cherry and spice flavors. Sound acids give this wine lovely lift in the middle palate. Finishes with sweet tannins and very good length, with the new oak sweetening but not overwhelming the wine's fruit.